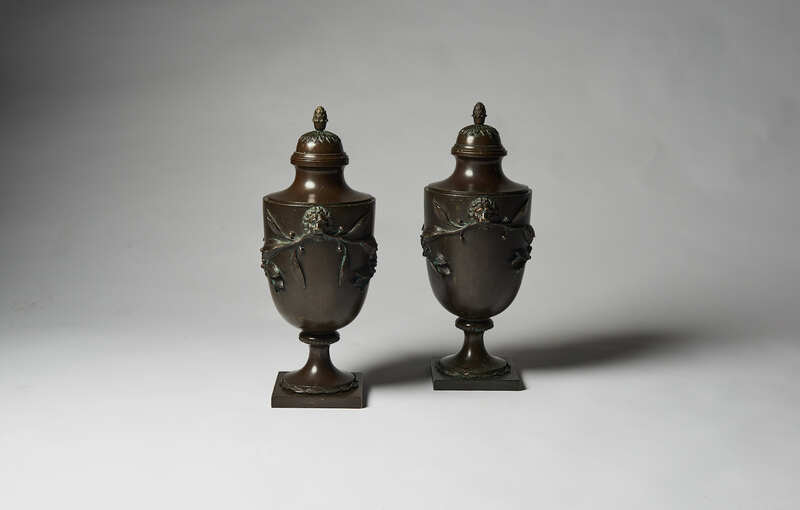 A pair of bronze urns in the Neoclassical style, circa 1920. 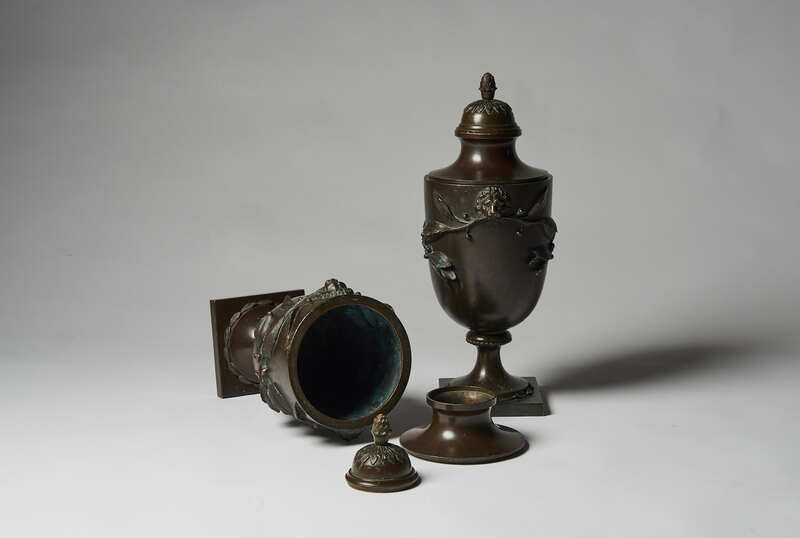 A fine pair of bronze urns and covers. Each decorated, with lions masks and leaf garlands on a square decorated base. 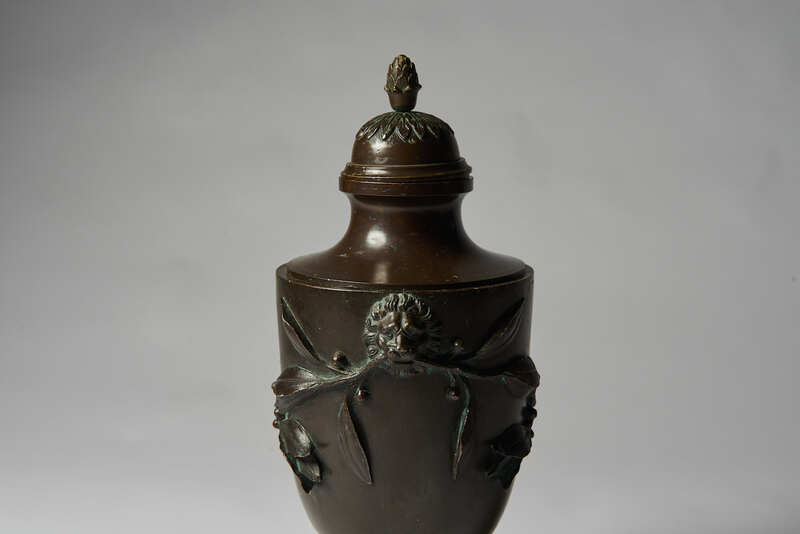 The leaf decorated covers terminating with a cone final.